How do others see you? Personality Test | Law of Attraction Plus: The Secret revealed! Do the next test to know yourself better. Remember tests are only a guide and are not determining. It's a test used by Human Resources Departments in several important companies and it's useful to know better their current and future employees. The answers must be about your current life and not the future or past, and you must only write one answer per question. So, take a paper and write down your answers for your test. 1. What time do you feel in your whole potential? 8. Which one of the following colors do you like the most? People see you as someone they need to be careful with; they consider you vain, selfish and extremely dominant. Maybe others admire you, wishing they looked a little like you, even though they don't always trust you and hesitate getting completely involved. People think you have an exciting personality, pretty volatile and impulsive. They see you as a natural leader, someone who makes quick decisions, although they aren't always the right ones. They consider you daring and courageous, someone who likes to try, take chances and enjoy adventures. They enjoy your company because of the emotion you radiate. People consider you to be strong, cheerful, charming, funny, practical and always interesting; someone who's constantly the center of attention, but balanced enough to not go over everyone else's heads. They also consider you to be a good person, considerate and comprehensive; someone who always cheers them up and helps them. The others think of you as sensitive, careful and practical. They consider you to be intelligent, gifted or talented, but humble. They see you as someone who won't make friends easily or quickly, but someone very loyal to their friends and expects the same loyalty from them. Those who really know you, they know it takes you a long time to trust your friends, and that you also have a hard time forgetting when someone betrays your trust. Your friends consider you scrupulous and nervous. They see you as someone very prudent, extremely cautious, someone slow and persistent but not too talented. Everyone would be very surprised if you did something impulsively or without thinking, since they expect you to examine everything carefully from every angle before you make a decision. They think you react this way in part due to the fact that you're naturally very cautious. People think you're shy, nervous, indecisive and that you need to be taken care of. You show yourself as someone who always wants others to make your decisions and doesn´t want to get involved with anyone or anything. They see you as someone constantly worried and who sees problems where they don't exist. Some think you're boring and only those who really know you know that's not the case. How did you do? Please, leave your comment! 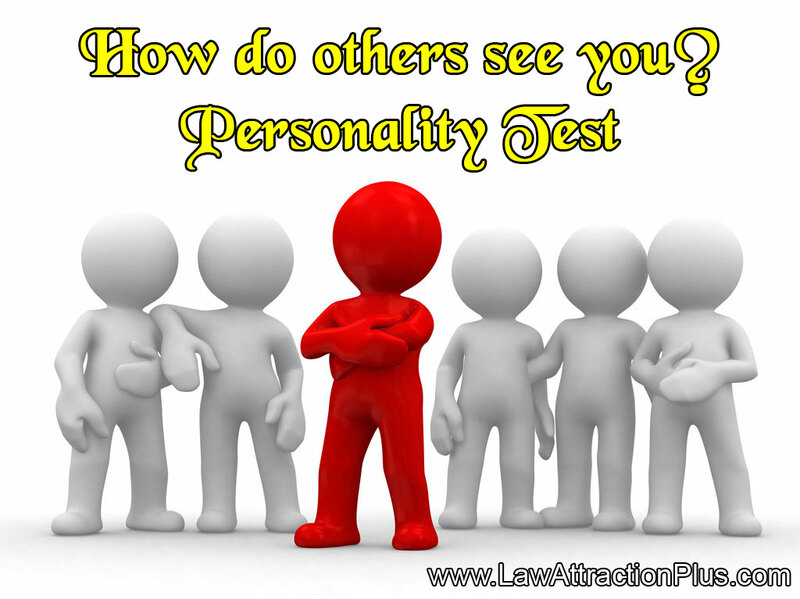 And share this test and your results with your friends!